Hours after the UK Government published it's economic consequences of a NO DEAL BrExit, forecasting a 9% loss of GDP after 15 years. 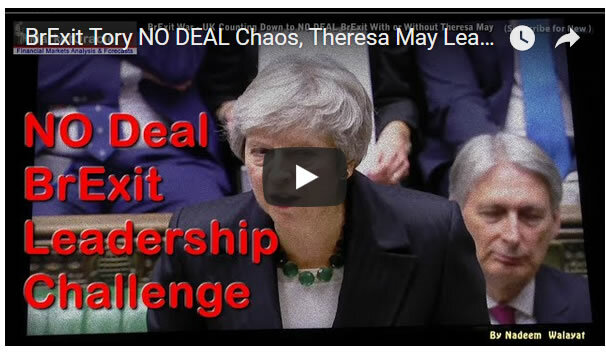 The head at the heart of Britains banking establishment, the Bank of England set forth it's NO DEAL Economic Armageddon scenario, literally warning of economic collapse on a scale twice that of the 2008 Financial Crisis. 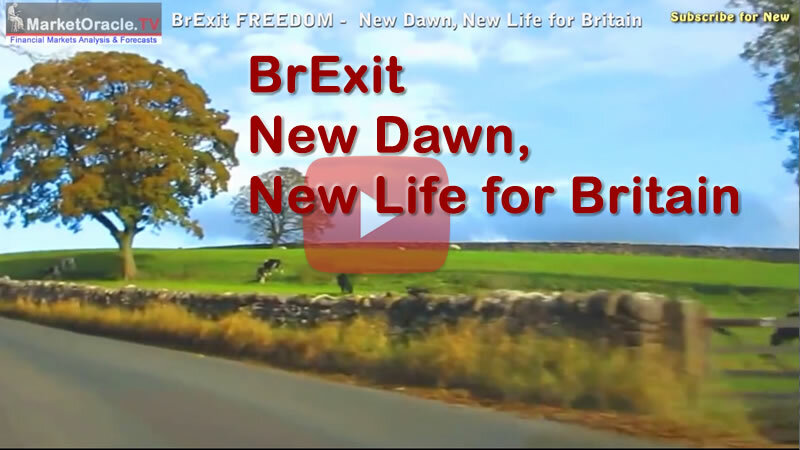 One of a near immediate NO DEAL currency collapse, GDP collapse of 9%, house prices crash of 30% and inflation soaring to over 6.5%. 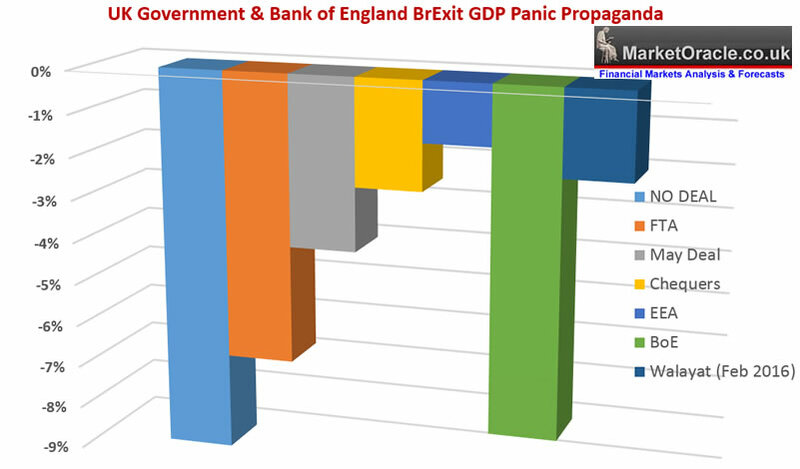 The people of Britain being subjected to Operation FEAR on an even greater scale than that which the Bank of England was peddling prior to the June 2016 EU Referendum, then warning of a BrExit recession if the people of Britain voted for freedom, NONE of which materialised as the UK economy continued to grow on a similar trend trajectory it was on as before the EU Referendum BrExit result. A summary of the of UK Government and Bank of England's forecasts of what they expect to happen to the UK post Brexit coupled with my own forecast as of Feb 2016. Here's a reminder of Operation Fear at work BEFORE the EU Referendum which we had Mark Carney warning of a recession if the people of Britain voted for FREEDOM on 23rd June 2016. A recession that NEVER materialised!